Linear Photonics, L.L.C. is a small business specializing in state of the art microwave photonics design and manufacturing for communications, signal remoting and sensors. Our facility supports both engineering and manufacturing and is conveniently located in the Princeton-Trenton corridor of New Jersey. 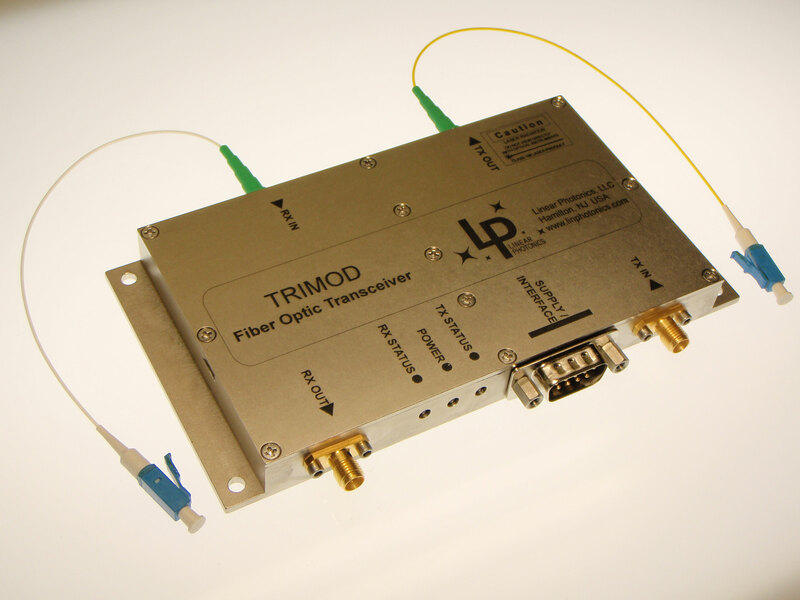 Our products cover frequency ranges from DC to beyond 50 GHz, and integration levels that include small hybrid laser and photoreceiver modules to large scale multi-purpose systems that employ RF-, microwave-, and millimeterwave-over-fiber. Our applications include long range fiber optic communications, antenna and radar signaling and remoting, naval and avionics EW, test equipment, harsh environments, precise time and frequency distribution and broadband electronic sensors. Our facility incorporates the entire product life cycle process from microwave and optical component research and development through production. Copyright 2019 Linear Photonics. All Rights Reserved.